I go in phases with Pinterest... 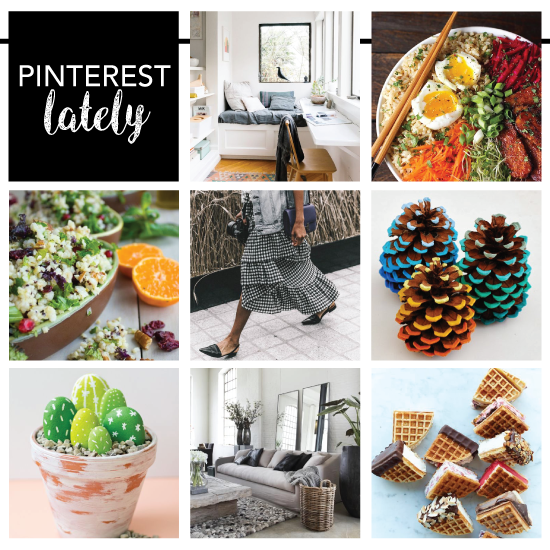 I'll avidly pin recipes, fashion, decor ideas, DIY inspiration and more for a few months, and then get to the point where I feel like I'm seeing repetitive content and take some time off. I'd been on an extended Pinterest hiatus shortly before my 3 week vegetarian experiment, but the search for creative meatless meal options reignited my Pin-thusiasm. PS- there's still a lot of great #Nsale goodies in stock! Did you order anything from the sale? See my advice on what's worth buying and picks here. Hey thanks for the shoutout! It is almost more fun to see people feature some Pinterest picks in a post like this, rather than scrolling through my Pinterest feed as you're right, things to start to get a bit repetitive. But I haven't seen those great rooms, or those fabulous looking waffle thingies (and now I want them). Thanks for hosting the link up and do come join my On the Edge of the Week Link Up as well! Have a wonderful week! Thanks for sharing those lovely pins! I'm on and off with Pinterest too...but what a fun post! 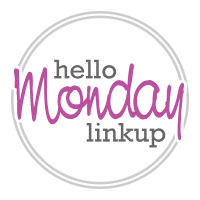 Thank you for hosting the link up and have a great week! I am so bad about Pinterest. I really only go on it when I have a recipe I need or something like it. I'm a total Pinterest junkie for all of the same reasons!